Which BoosterPacks would you like developed? 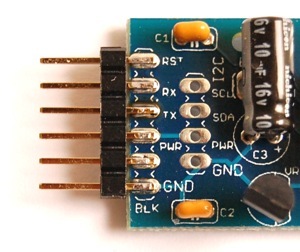 An adapter board with jumpers (to handle differences in pin-outs) that would allow most existing MSP430 Boosters to be used with the C2K or coming Stellaris LaunchPads. How about something like this, pads on both sides of the board, headers with 90 deg pins, male on the bottom, female on top. Another option, two vertical boards. Hi rob.. welcome.. What do you mean by two vertical boards? Look at the right image. Both headers are soldered horizontally, female on one side and male on the other. Two boards like that can be plugged vertically. Is it like the tower kit design? I think like this... right? I would like a wireless RF boosterpack (433, 868, 915 Mhz) , making it possible to have a community of devices using simpliciTI that can be linked independent of the board under it.